Movies You’ll Want to See On Opening Weekend! Mark your calendars for April because we’ve got so many great movies set to debut this month! If you are a teenage parent, you will definitely appreciate -or run to Target to buy a baseball bat- the newest comedy movie, BLOCKERS. Wrestler John Cena and a group of overprotective parents, overhear their high school daughters making a pact to lose their virginity prom night and carry out an operation to stop their little girls from sealing the deal. And since we are talking about John Cena, we are pretty sure bones break in this movie. Speaking of wrestlers - We didn’t think it was possible, but there is someone out there bigger than Dwayne “The Rock” Johnson! In his latest adventure movie of RAMPAGE, Primatologist Davis (“The Rock”) meets George, an extraordinarily intelligent silverback gorilla who gets caught in a disastrous genetic experiment. Be sure to also Shave The Date for the movie release of crime comedy, SUPER TROOPERS 2! In this sequel, 5 troopers are tasked to establish a Highway Patrol station in order to rectify a border dispute between the U.S. and Canada. This crowdfunded movie production is a must-see for fans of the original. There is also a movie that fulfills the horror genre. In director John Kransinski’s Twilight Zone-inspired horror film, A QUIET PLACE, you’re going to be too scared to scream because if they can hear you, they can hunt you. You would think we are pranking you with all this talk about free prizes, but this is NOT an April Fool’s joke! We are showering members with back-to-back sweepstakes for all over the nation. In our newer sweepstakes is DOWNSIZING, smaller is better but that doesn’t mean that our contests are smaller! In fact, we are naming 4 lucky winners to receive a 4K HD/Blu Ray Combo DVD of DOWNSIZING, a hoodie, hat, tote bag and other mini items as a prize pack. 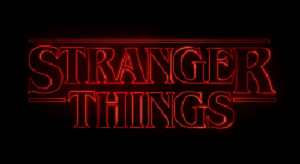 This is also your LAST chance to get your name in the entry pool for our popular STRANGER THINGS Sweepstakes! One winner will be taken to the Upside Down with the Funko POP! Netflix Television Stranger Things Character prize. Or if you are Netflix and chill isn’t your thing, take your date out with our AMC Gift Card! With a total credit of $50, you can pick your favorite movie and eat to your heart’s content with theater popcorn and frozen ICEE drinks. Don’t forget to come back to redeem your Daily Bonus for an extra sweepstakes entry each day!